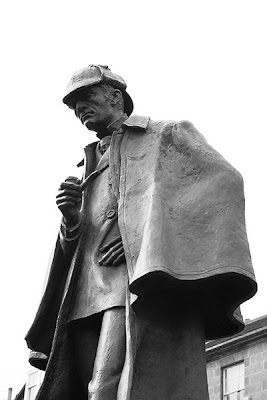 I watched Sherlock Holmes this weekend, and had an epiphany. My beloved House is none other than Sherlock Holmes. The play on words "house/homes (holmes)" and House's one true friend Wilson (to Holmes's Watson) should have tipped me off. Am I the only one who just got this? 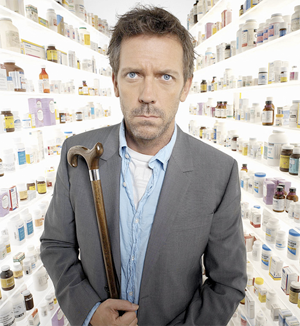 My god, in the Season Two finale, House is bloody well shot by Jack Moriarty. Duh! Have I been in a coma? I'm usually much quicker to pick up on these things. I think I've been in a bit of a fog lately (sorry, not meant to pun London).